One of the most successful series of commercials of all time. 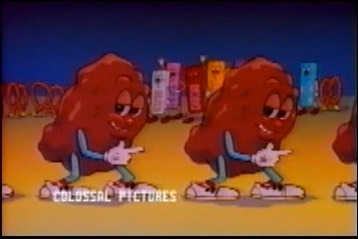 A wildly popular runaway success, the California Raisins ad campain starts here- this is their very first animated adventure. Designed by director Michael Brunsfeld and animated by myself and fellow animator Robin Steel, the raisins went from cartoons to claymation and swept the country.